Pressure thermoforming is the best option when aesthetics are important. 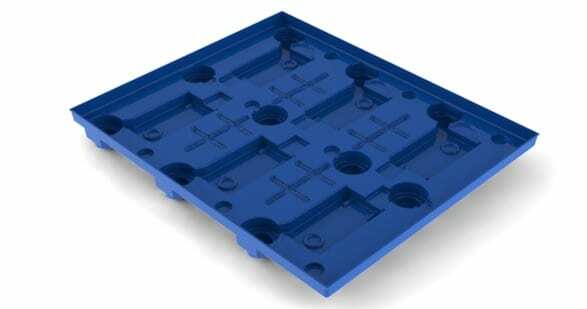 Pressure-formed plastic rivals the cosmetic appearance of injection molding. And because its tooling and production are simpler and faster than injection molding, pressure forming creates plastic products that get to market quicker. A sheet of plastic material is heated in an oven. A vacuum pulls air out of the mold, pulling the sheet against the mold. At the same time, air pressure is applied to the back of the sheet, pushing it tightly into the mold. These twin forces give pressure-formed products crisper details and sharper features. There’s no limit to the combination of base materials, colors, exterior details and finishes that can be incorporated into a pressure-formed part. Pressure-formed plastic can be painted, screen-printed, hot stamped or given other finishes. Additionally, forming with a colored resin can prevent the need for painting. Interested in learning more about the pressure forming process? Contact us today. Our team can take your vision and turn it into a reality.